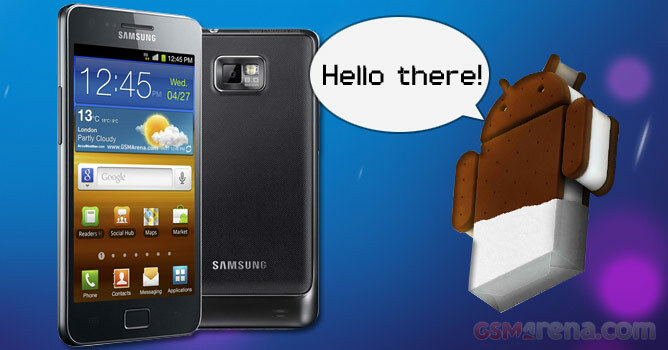 Better yet, we installed the leaked Android 4.0.3-based ROM on a Galaxy S II we had at hand and prepared a quick video for you to show you what it feels like. The leaked I9100XXKPA ROM is a major step forward compared to the previously leaks, bringing improved battery life, touch responsiveness and faster performance. Despite this, though, it’s an early beta and it feels like one. But let’s waste no more time and just cut to the chase. Here’s the newly leaked ROM in action. Now we guess you could use that as your everyday ROM, but we don’t think it really worth it at this point. The newly added features aren’t all that many and they aren’t enough to make up for all the performance glitches. Then again, having an ICS ROM on your Galaxy S II months before everyone else will give you some bragging rights and that might be worth something as well. If you feel like trying the new ICS ROM you may find the necessary files and the installation instructions by following this link.